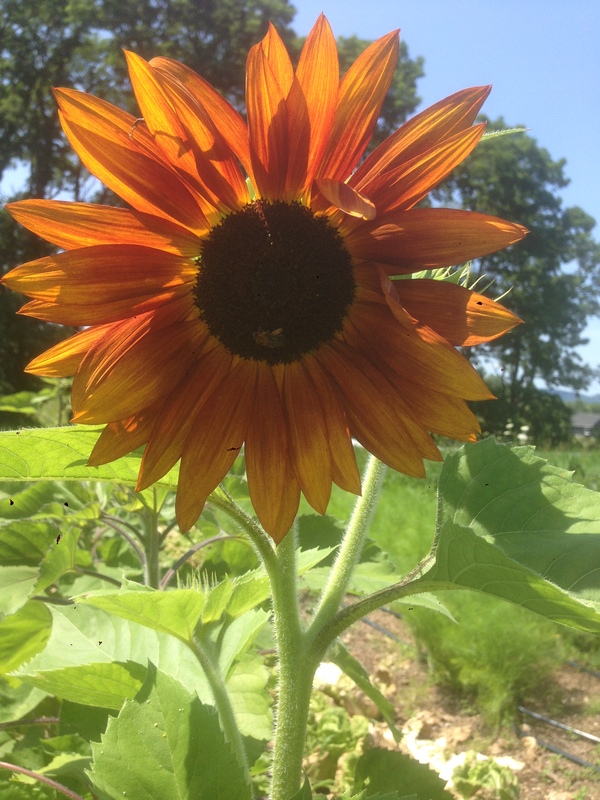 The flowers were the most beautiful thing on the farm this week. 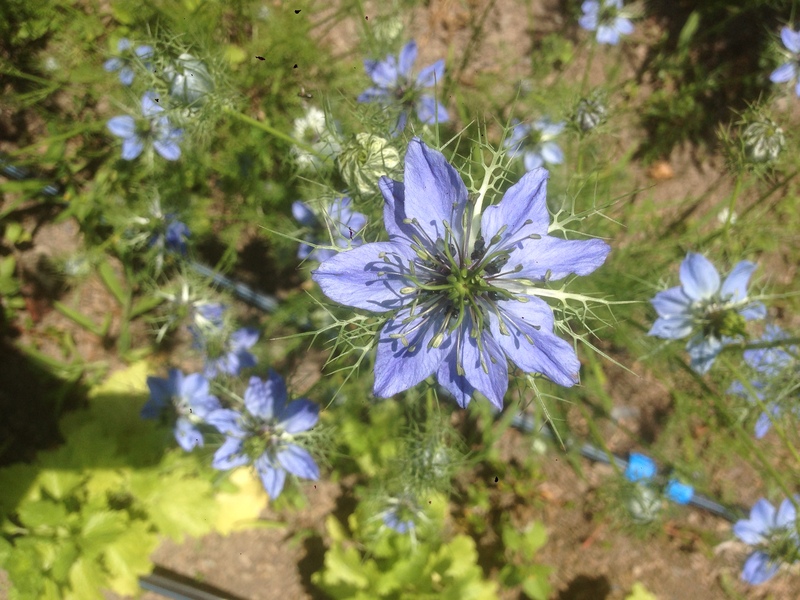 This flower is called Nigella. In this heat wave, I would venture to guess we are all avoiding hot stoves and ovens in the kitchen as best we can. Salads are my meal of choice these days, and it just so happens that every single share item on the above list would be an excellent addition to a salad! Start with kale, chard, or lettuce mix as your foundation, then add whatever you want. For example, shredded carrots, scallions, and shaved fennel. Or shredded Napa cabbage, chopped raw beans, and lightly sauteed squash. The combinations are endless. For a flavor-packed dressing, combine summer savory with apple cider vinegar and olive oil. For a light and summery dressing, combine dill, lemon, and olive oil. 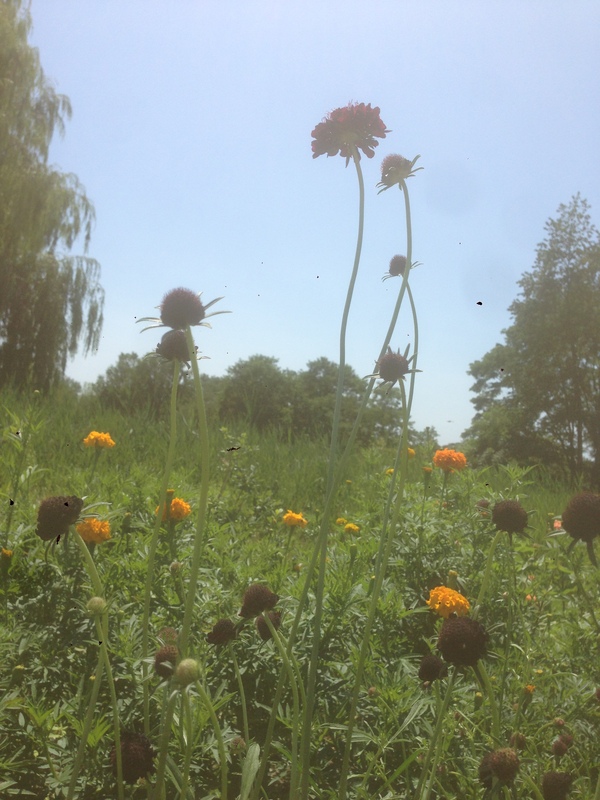 Scabiosa and marigolds hazy in the heat. I hope you all are keeping cool and nourished in this very July weather. Here’s to another great week!